Geneva (AFP) - Former war crimes prosecutor Carla Del Ponte, who is currently probing rights abuses in Syria, on Monday backed Russia's air strikes on "terrorist groups" in the war-torn country. "Overall, I think the Russian intervention is a good thing, because finally someone is attacking these terrorist groups," Del Ponte told Swiss public broadcaster RTS, listing the Islamic State group and Al-Nusra among the groups targeted. But Del Ponte, a member of the UN Commission of Inquiry on Syria, quickly added that the Russians apparently "are not distinguishing enough between the terrorists and others, and that is not as good." Her comments came amid international bickering over the Russian air strikes and what role they played in undermining last week's peace talks to end the country's five-year war. Moscow launched a bombing campaign in Syria last year at the request of Syrian President Bashar al-Assad, saying it was targeting the Islamic State group and other jihadist organisations. The West has accused Russia of targeting more moderate factions that oppose Assad's regime, and Syrian activists say the strikes have killed civilians, allegations Moscow dismisses as "absurd". UN envoy for Syria Staffan de Mistura last week suspended attempts to begin a dialogue between al-Assad's regime and the opposition, as Russia pressed on with its bombing campaign on the ground. One day after the talks broke down, Russia's defence ministry said that air strikes had hit 875 "terrorist targets" in Syria since the start of the month. 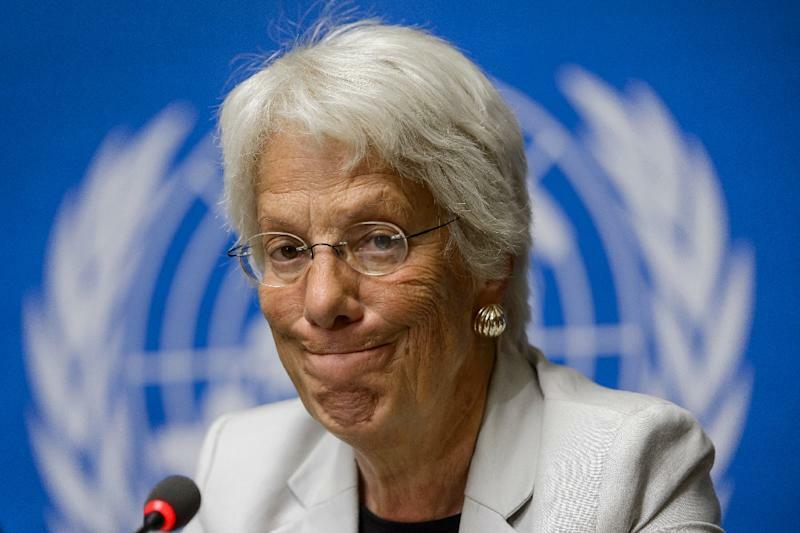 Del Ponte, a 68-year-old Swiss national who came to prominence investigating war crimes in Rwanda and the former Yugoslavia, also touched on another sensitive subject Monday, saying she thought Assad should be included in peace negotiations. "If you want a ceasefire, if you want peace, you first have to negotiate with the government," she said, pointing out that the late Serbian leader Slobodan Milosevic was already under investigation when the US negotiated the 1995 Dayton accord with him that ended Yugoslavia's bloody war.